A major time for charitable giving happens during the holiday season through the end-of-the-year. Being generous with our money can improve the world and our communities, which makes us feel happier. There is pure joy in giving and making an impact on the needy. People don’t necessarily give money away only for the tax benefit, but it can, however, be a powerful incentive. The Joint Committee On Taxation estimates that due to the new tax law, charitable giving by individuals in 2018 will decrease by $13 billion dollars. Nonprofits may now face the uncertainty and risk of declining donations. Taxpayers uncertain about the deductibility of their donations but who want to financially support non-profit agencies can turn to tax professionals for advice. Tax professionals are in the unique position to mitigate these new uncertainties. Navigating the new charitable and itemized deduction landscape can be complicated, yet achievable when using donor-advised funds and bunching. Why are donor-advised funds becoming so popular? A donor-advised fund is a charitable-giving vehicle where donors receive an immediate tax benefit. Think about it as a personal charitable savings account. After adding cash or appreciated investments into the fund, donors receive a current year tax deduction for the fair market value of those gifts. That philanthropic action allows maximizing the 2018 tax benefit. Then donors can designate charities and schedule the release of those funds and assets. Tax professionals can help companies, foundations, individuals, and families evaluate the tax benefits of a donor-advised fund before contributing assets. 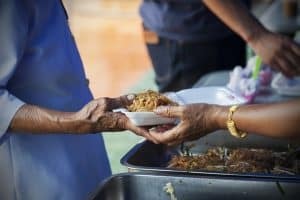 If you’re considering making a cash donation to a favorite charity, the tax act created a 60% charitable deduction limit based on your AGI (adjusted gross income) for the year. Taxpayers usually opt to reduce their overall tax liability by either taking a standard deduction or itemizing deductions. If you want to donate and receive tax benefits, one approach is to ‘bunch’ larger donations one year, then limit or stagger donations in subsequent years. This takes careful planning by donors and tax advisors. A seasoned tax advisor will know when you should itemize or use the standard deduction based on your philanthropic wishes. Consider taking an analytical approach to your charitable giving this year. What do you hope to accomplish with your donation? Will the result of your giving go to support a worthy cause, respond to a natural disaster, hold the memory of a loved one, or bring your organization recognition? Invest in non-profit organizations that are reputable and professional, ones who optimize their care and use donation dollars wisely. Take time to read over their mission statements. Did you know that charities won’t pay capital gains tax when receiving gifts of non-cash assets? The good news is that if you donate appreciated assets directly to charity, the charity will receive 100% of the donation. But, should you sell your assets then donate them to charity, you could pay a hefty tax. Plus, if you’re an IRA owner age 70 ½ years or older and want to donate to a preferred charity, you can transfer up to $100,000 per year directly from your IRA account. The amount transferred is not included in income and may have an impact on items such as taxable Social Security benefits. This technique is also very useful if you would not otherwise itemize your deductions. An IRA trustee is required to transfer the funds, however. The transfer will count towards your yearly IRA Required Minimum Distribution (RMD). If you want to do your due diligence on where to donate, check out the list of Top 100 Non-Profits for 2018. This objective list covers organizations with a whole range of missions which include international development, animal welfare, to museums. You can only deduct donations to qualified charitable organizations, so check for the organization’s determination letter from the IRS on their website. Or, conduct your own search for charities with an IRS tool at Tax Exempt Organization Search or call the IRS (toll-free) at 1-877-829-5500. Why Work with a Tax Professional to Donate This Holiday Season? A professional tax advisor can assist you in determining the best strategy for meeting your charitable goals. It’s good practice to always consult with one about deductions before making charitable contributions. Maximize you tax deductions this holiday season. Contact one of our tax professionals today by calling (919) 872-0866 or by completing the contact form below.